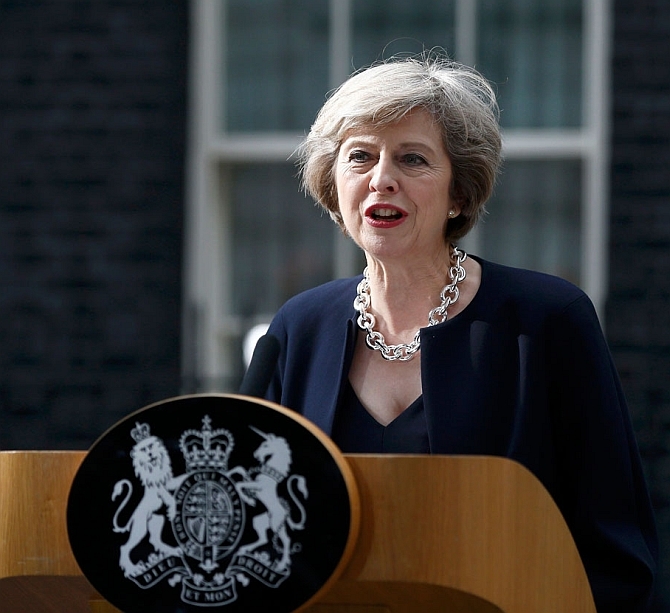 British Prime Minister Theresa May will trigger on March 29 the two years of complex negotiations over the United Kingdom's exit from the European Union, it was announced on Monday, nine months after the country voted to leave the bloc. The UK’s ambassador to the EU, Sir Tim Barrow, formally informed EU Council president Donald Tusk to expect May's letter next Wednesday. "We said it would be by the end of March and thought it would be helpful to say when it will happen. We want negotiations to start promptly. We expect it will be a two-year process and we are confident that is what we will achieve. So Britain will exit the EU on 29 March 2019," a Downing Street spokesperson said. The UK expects to receive a response to Barrow's notification from the EU Council within 48 hours. Meanwhile, an EU spokesperson told reporters in Brussels that they are "ready and waiting" for the letter. The move comes nine months after Britain voted 51.9 per cent to 48.1 per cent in favour of Brexit in a referendum on June 23, 2016. Talks on the terms of the UK’s departure and future relations with the EU are not possible until the UK formally notifies the EU it is leaving. After May’s letter reaches Tusk, he is expected to distribute draft guidelines for the negotiations to the 27 other EU member states. He will also summon the leaders of the countries for a summit to endorse the final guidelines, expected in early May. "Within 48 hours of the UK triggering Article 50, I will present the draft Brexit guidelines to the EU27 Member States," Tusk tweeted. The process will give a negotiating mandate to the EU’s executive arm, the European Commission, with chief EU negotiator Michel Barnier going ahead with the process of scheduling talks with his British counterpart, Brexit minister David Davis. "The government is clear in its aims: a deal that works for every nation and region of the UK and indeed for all of Europe – a new, positive partnership between the UK and our friends and allies in the European Union," Davis, secretary of state for exiting the European Union, said. Meanwhile, May is in Swansea, Wales, as part of a UK-wide tour, which will cover Northern Ireland and Scotland, before the formal Brexit notification next week. Her aim is to enforce a message of unity in the wake of Scotland demanding a second referendum over its independence from the United Kingdom. The developments come as an independent think tank warned that up to 15 new bills could be needed to deliver Brexit. The Institute for Government said in a report titled 'Legislating Brexit' that the extra 15 measures would cover areas including immigration, agriculture and customs. They would be in addition to the Great Repeal bill, which will end EU legal authority in the country by scrapping the 1972 European Communities Act. "Brexit will place a huge burden on both Parliament and Government departments," the report warns. EU leaders have said they intend to conclude Brexit talks within 18 months to allow the terms of the UK's exit to be ratified by the UK Parliament and the European Parliament, as well as approved by the necessary majority of EU states. May has said that Britain's House of Commons and Lords will have a vote on the deal she negotiates but she has insisted the UK will leave anyway even if Parliament rejects that deal.